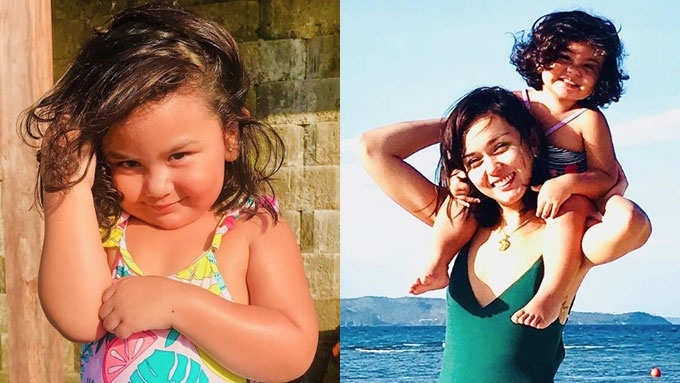 Certified seaside buddies: Beauty Gonzalez and her three-year-old daughter, Olivia Ines. Beauty Gonzalez and Norman Crisologo's daughter, Olivia Ines, is growing up fast. Olivia Ines turned three last February 2. As seen on Mommy Beauty's colorful Instagram feed, Olivia is growing up to love the beaches, too. After all, the celebrity tot grew up with the ocean as a constant destination of her family. Here's a photo of Olivia Ines two years ago enjoying a swim with Mommy Beauty. Little Olivia Ines even has a collection of adorable swimwear. We cannot wait to see more beach photos from this ocean baby.